This is it! This is one of the BEST opportunities for licensed marijuana production and non-storefront retail delivery and manufacturing in all of Southern California! Take advantage of this outstanding opportunity to purchase an entitled Cannabis Cultivation, Manufacturing, Distribution and Retail Delivery facility, eligible for both medical and recreational use.This property has received city and state temporary license approval for distribution, cultivation and non-storefront retail (delivery) with approval for manufacturing currently pending. Upon completion and final inspection of the entitled build-out, a Certificate of Occupancy and authorization to operate will be issued. This is one of the few properties eligible for marijuana licensing in the state that has the ability to house non-storefront retail delivery, volatile and non-volatile manufacturing, distribution as well as both indoor and mixed light cultivation by taking advantage of the glass rooftop of the building! In addition, this property is located in a FEDERAL “OPPORTUNITY ZONE” which provides significant tax benefits to owners who plan to hold onto the building for 5+ years before selling it. Don’t miss out on this rare opportunity! The City of Arvin is very progressive and friendly to the business with an open door policy. The construction drawing package is currently in the city . Approval is expected by the end of January. 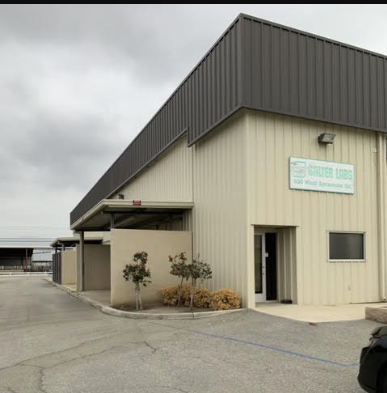 Preliminary work has been completed to build an additional 20,000 sq ft 2-story building on the site, pending an expected reclassification of M-2 light manufacturing from heavy industrial to light industrial industrial per the city of Arvin development plan. The subject property consists of one parcel that measures 2.03 acres with over 39,275 square feet of office and warehouse space. The gorgeous , well secured, existing structure is your change to get into or further expand your business and ride California Green Rush! The permitted canopy cultivation size is 15,000 square foot, but with a mezzanine tier the canopy size can almost double in size! In addition, the upper level of the property has a unique glass ceiling which allows sunlight to enter and which can create canopy cultivation that qualifies as “mixed-light” under the definitions set forth by the city and state. Custom construction and operating plans are available to be viewed for qualified parties. In addition, the city is also currently accepting applications both volatile and non-volatile manufacturing, which this property is eligible for and which can be added on as a permissible use through the city if the Buyer would like to. This exclusive listing will be SOLD very quickly so act fast and it can be yours! Arvin is building a solid reputation in the Cannabis Industry by being a progressive city that has one of the lowest tax rates in the entire state, and this AMAZING property is on track to be the first approved facility in the city for Marijuana Production.